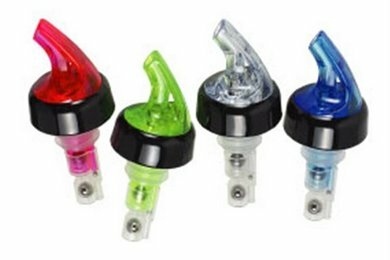 The quick shot clear free flow pourer is designed to provide a fast flow pour speed ideal for smooth and accurate pouring of spirits and liqueurs. All you need to do is prime the pourer by holding a finger over the spout and quickly turning the bottle over. When pouring, turn the bottle in a smooth motion to a 46-60 degree angle - designed to pour fast. Created in 2003, Cream Supplies was one of the first ecommerce companies in the UK supplying to independent bars, cafes and restaurants. We specialise in tools and ingredients for drinks making but also have a wide range of food preparation tools. Added to this we have a comprehensive range of molecular ingredients for thickening, gelling or adding special effects to foods. Run by a vegan, Cream Supplies has a deep eco-ethic and pioneered supplying compostable takeaway containers. All of the packaging materials we use are biodegradable or compostable. 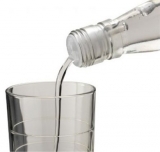 Beaumont TM Limited is the UK's largest supplier of barware to the hospitality industry. As well as importing barware they also manufacture right here in Britain. They are what your pub landlord would call a 'proper British company'! Beaumont are the number one manufacturer of spirit measures in the world - all from their Flitwick, Bedfordshire factory. Your local pub is likely to use a Beaumont spirit measure when they serve you your double Scotch! As well as spirit measures they supply a vast range of bar accessories ranging from traditional pub dart boards to the latest trends in cocktail-making accessories. We stock pretty much all of their range - except the dart boards which we'll get if anyone needs them?